Dalchreggan Bed and Breakfast in Fort William is a grand Victorian guest house accommodation with large, spacious bedrooms close to Fort William's town centre. All bedrooms in the B&B are authentic Victorian rooms with original woodwork and 11 foot ceilings. They have new decor and luxury en-suites, our Twin room being the only exception. 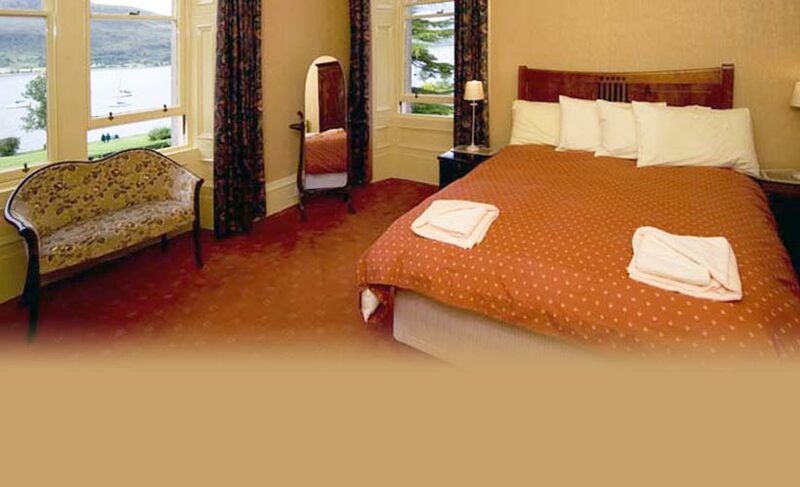 Some of the Fort William bed and breakfast's rooms have views out over the Loch. Our breakfast room is large and spacious, offers a varied menu catering for all tastes and looks out onto Loch Linnhe and the Ardgour Hills. For tariff & availability click here.